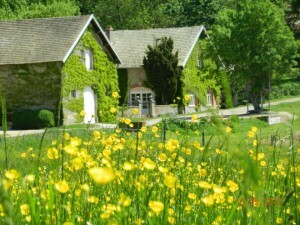 Domaine de L’echelette is located in the tiny and very picturesque commune of La Chapelle-Sous-Brancion. 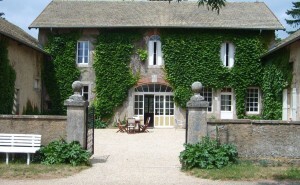 The buildings that comprise the current domaine are from the late 19th century and are in a U-Shape, inspired by many 17th century Renaissance Châteaux. 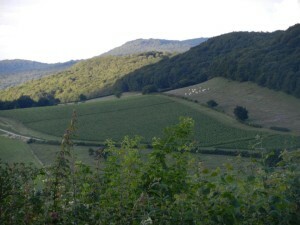 The winery overlooks green rolling hills, with grazing sheep and cows. With your back to the beautiful vineyards, and their leaves reflecting the golden sun you look down, mid-valley to the Chateau de Nobles a beautiful castle from the 14th century. As importers we really only care about what is in the bottle, we taste wines blind and even bring in some wines that we think have pretty ugly labels – all in the name of good wine. This place is simply so gorgeous – by far the best view of any winery we work with in France – that I simply had to paint the picture for you. Also, there is a little part of me that believes the winemaker who is looking out on the golden slopes, forests in the distance, grazing sheep, and the 14th century Chateau puts a little bit of that beauty into the wines he makes. The wines are rustic in style, real farmer wines. A bit rough around the edges like the hand of the winemaker, but purely beautiful like the landscape surrounding the domaine. 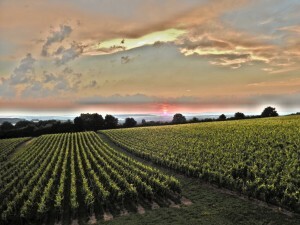 The Domaine de l’Echelette is located it the heart of Burgundy; in the Mâconnais region which is famous for its white wines made from the Chardonnay grape. 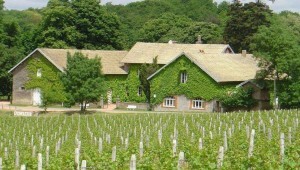 The Domaine has been a family business for 35 years; it was built 130 years ago for the purpose of producing wine. Unfortunately the production of wine decreased rapidly at the end of the 19th century as phylloxera rapidly decimated a vast majority of the vineyards. It was only in 1976 –one century after its creation – that Michel Champliaud bought it and gave the vineyard their life back. 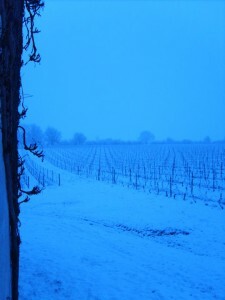 The vineyard is now shared between three villages and is made up of vines between 7 and 57 years. 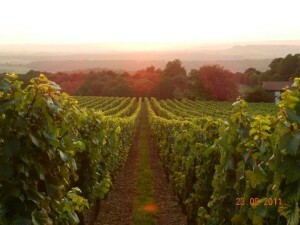 The vines thrive in Burgundy’s famous argilo-calcareous (clay-limestone) soil. M. Champliaud is proud to consciously follow the wine producing tradition of Burgundy, and works very rigorously to satisfy the high quality standards he sets for himself in growing and managing the vineyard as well as in producing wine. Each wine results from a year of hard work and reflects the love and care the winegrowers – give to the vineyard day after day, month after month and year after year. 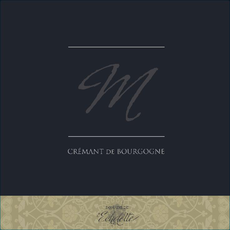 The Crémant de Bourgogne is an effervescent wine which is produced using Methode Champenoise. The cremant is hand-harvested in 25kg crates and the grapes are pressed very quickly so as to avoid any oxidation. The juice is then turned to wine using the same method as for any other white wine. First, the producer starts fermenting the wine inside the bottle which will turn the still wine into effervescent wine by emitting CO2. Then the wine goes through the maturation process as the bottles are stored between 9 and 12 months inside a temp-controlled. At the end of the maturation period, the bottles are opened in order to eject the deposit that was produced during the fermentation. Then a “liqueur d’expédition” or “shipping dosage” – usually sugar plus some of the same wine that is reserved for this purpose – is added immediately prior to final bottling. Finally the bottles are corked with a wire capped cork. 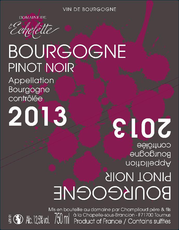 Introduction : Bourgogne Rouge is a red wine made wit the grape that made Burgundy wines famous: Pinot Noir. 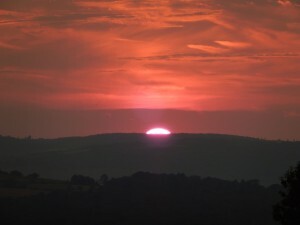 The Pinot Noir vineyard grows on a limestone land, giving spicy and strawberry flavored wines. Tasting Notes: What I liked about this wine when I first had it was that it was not a simple, “wine by the numbers” well-made crowd-pleasing wine. This wine is full of character, it’s a real rustic farmer style Burgundy. The cherry fruit we usually find in pinots from Burgundy is present but takes a back seat to black raspberry and strawberry. On the palate we find the subtle strawberry again but also a nice spice and a surprisingly good grip and long finish. 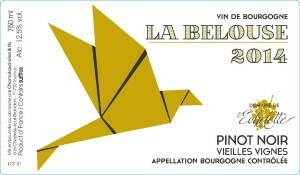 For the wine drinker looking to have an authentic Burgundy and not break the bank I can not think of a better wine. 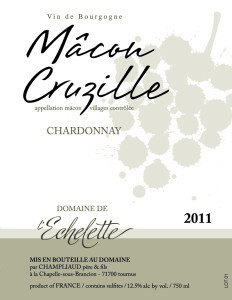 Introduction: This wine is classified as a Mâcon Cruzille. This is a special classification for wines that come from the communes of Cruzille, Grevilly and Martailly-les-Briancon. These areas have a reputation for producing higher quality wine than generic Macon. Tasting Notes: This is a white wine which differs by its taste: white flowers (lily and dog rose) with a touch of citrus. It is a brisk and fruity wine that we advise with starters, white meat, fish and seafood. 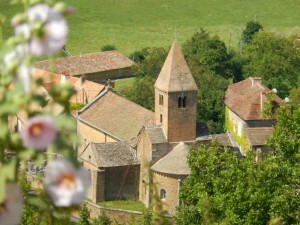 Mâcon Cruzille grows on a rich land. 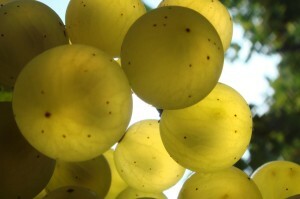 It has a very good reputation amongst white wines due to the consistency of its quality.